Gameweek 31 marks the traditional blank gameweek of the season. The FA Cup quarter finals have resulted in just 5 fixtures being played in Gameweek 31. Usually, the big blank gameweek causes many FPL managers, including the top ones, to utilise their free hit chip. 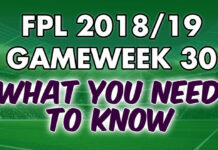 Interestingly Trent Alexander-Arnold was the mos transferred in for Gameweek 30. Liverpool teammate, Mohamed Salah was the most captained player. Elsewhere, Raheem Sterling was the best performing player with 21 points. This is the third time this season Stering has been the top performing player of a gameweek. 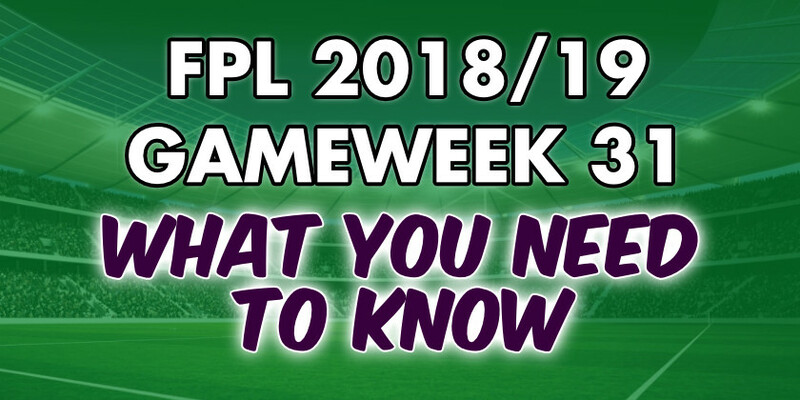 Fantasy Premier League Gameweek 30 overview! Here is our Fantasy Premier League Gameweek 31 cheat sheet. With Liverpool being the one of two top 6 teams in action, especially against low-lying Fulham, Mohamed Salah is the primary captain choice. This is despite poor point returns in recent weeks, that is in comparison to his own incredibly high standards though. As a result of this many FPL managers will be giving the captain’s armband to Sadio Mane. He has scored 8 Premier League in as many games. Second to them is Jamie Vardy, whose Leicester also play away. He is in his own superb form, having scored 5 goals in the last 5. Elsewhere, Marko Arnautovic would also be a contender against bottom of the table Huddersfield. However, the Austrian isn’t a guarantee to start.